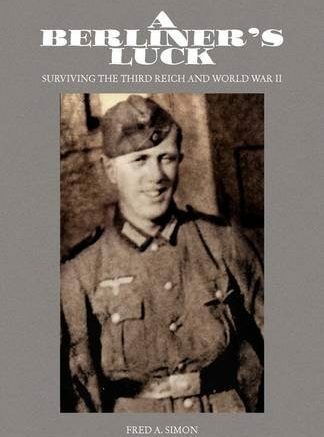 This short memoir, written by the author when in his eighties, looks back at his experience as a German soldier during the Second World War. I would not recommend it to others. Sometimes in memoirs, written many years after the fact, a kind of maturity is allowed to creep in, and the author may have some insights in their own behaviour or thoughts when they were younger. Not in this case. Fred Simon, raised in the USA, was living in Berlin in 1941, drafted in the Panzer Grenadiers, and sent off to fight on the Eastern Front, where he was wounded. Later, while deployed in the Netherlands, he was sent over to the island of Texel to help suppress the rebellion by Georgian troops there. Not once in this memoir is there any sense at all that Nazi Germany may have been doing the wrong thing, or even that there is such a thing as right and wrong. Simon has lots to say about his many girlfriends, and how he often managed to trick people into getting his way, but not a word about the war, the Nazi regime, and the war crimes in which he certainly played a part. He wound up living in the USA, where he raised a family, played a role in the Boy Scouts, and never looked back in any meaningful way at what he had done or who he really was.